A lot of dragons teeth rocks for the first half kilometre, have to walk the bike in some places,and then you can ride but it starts going up, steep in places for about 1km. It kind of levels off a few times between uphill clims and then you get to the top of the Cape Split Plateau. Real nice flowing single track on the plateau, packed down hard from lots of hiking and biking. The last 2kms to the Split become narrow and the vegetation grows in over the trail. Hard to see hikers coming around corners so this is where you have to slow down. 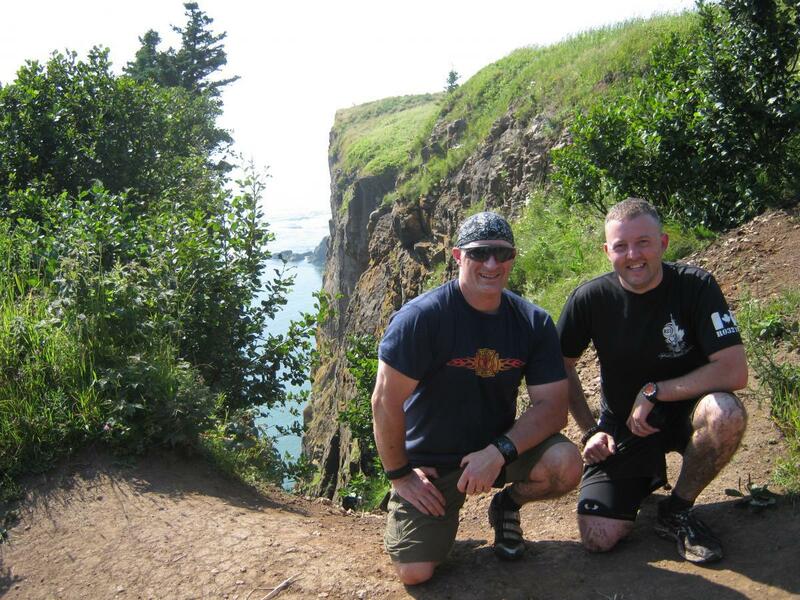 Once you come out onto the Split, it's breathtaking views of the Bay of Fundy. On a clear day you can see across the bay to Parrsboro, NS. Make sure you bring a lunch and a camera as you'll want to hang out for a while and take in all the scenery. Now the trip back, you're in for a real treat. Where it takes approximately an hour and a bit to get to the Split, the trip back can be done in 25-35 minutes! 75% of the trip back is downhill and you can pick up some wicked speed. The best place to stay if you want to ride the Cape Split Trail a couple times in a weekend would be Blomidon Provincial Park Campground. They have pretty good trails to ride there as well. Showers, firewood, nice treed in campsites and breathtaking views of the Annapolis Valley and the Bay of Fundy from the Park. Cape Split Trail MTB Trail 0.00 out of 5 based on 0 ratings. 0 user reviews.